Coming up with an idea for your mobile App is just one phase of the app development journey. Select the optimum development technology and Hire the right developer who is proficient in it. With a wide range of Development platforms present in the Market, fixing on the right one for your App has become quite challenging. But if you want to know Our opinion on it, then it has to be the React Native Development Platform. What is React Native & Why Hire react Native App Developer ? How to Hire Dedicated React Native Developers ? What Technical Skills a react native developer should possess? What soft skills react native app developers should possess? Why hire react native developer from Professional firm vs. Freelancer? What is the cost to hire a react native app developer ? What is React Native And Why Hire React Native Developer? A React Native app developer can create a single mobile App that can run on different platforms such as iOS and Android. In today’s date, React Native is one of the best and popular development Platform for building your App. As a matter of fact, some of the most beloved Apps are made using React Native. You can surely count on a react native app builder (aka your developer partner) to construct an App exceeding your expectations. We at ChromeInfotech don’t just blindly recommend Our Client’s to go ahead and Hire react native developer. Here is an overview of the benefits that you and your Business can experience by hiring a React native app developer . Then Here is a write up on React Native Mobile App Development that can help to give you more insights into the above points. 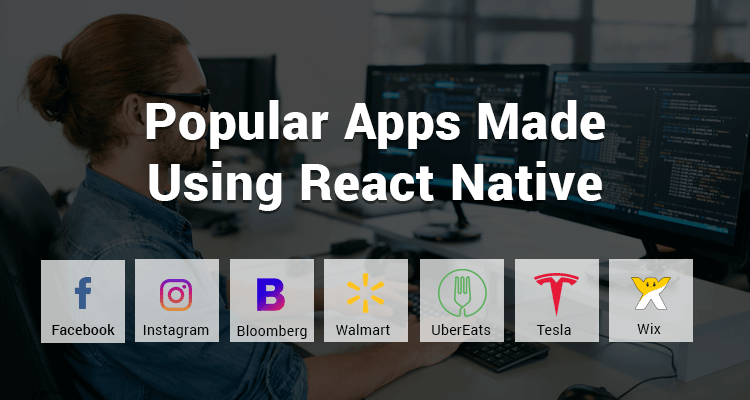 These are some of the principal reasons why many Fortune 500 companies, as well as Startups, are migrating their Apps to React Native. Do you want to hire React Native Developers & Programmers for your next project? And I am pretty sure that your answer is going to be a Yes! Ok. So what’s the next step? Is it to Start looking to hire react native developer for your project? Well yes, it is indeed the next phase. But you can’t just go out and hire the first react native mobile app developer that you can get your hands on. First, you need to sit down, research, plan, conceptualize and then single out an optimum react native developer for building your App. You don’t need to look for or Hire the “BEST” React Native App Developer to get your job done. What you need is the “RIGHT” react native developer. And by RIGHT, We mean someone who fits perfectly into all the needs and requirements of your Project. You need a react native app developer on whom you can confide to transform your idea and vision into a full-fledged App. But sadly in the present scenario, it is not an easy task to find top vetted React.native developers available for hire that fulfills all your conditions. 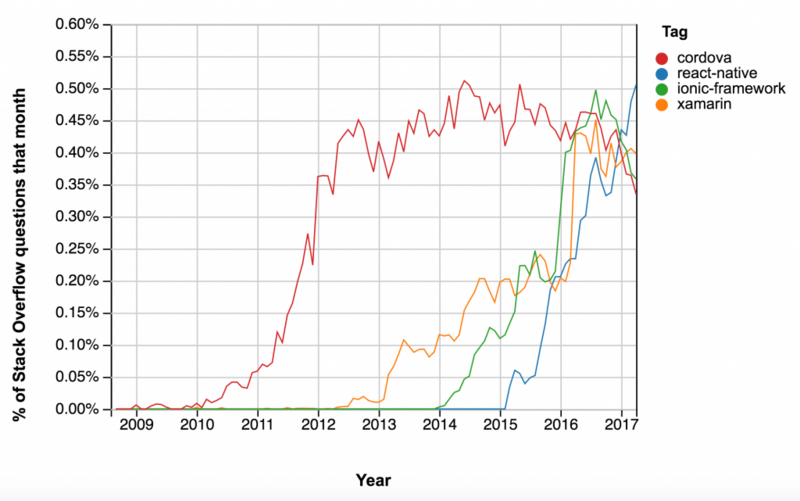 According to a statistical analysis by StackOverflow, React native is quickly running up the ladders to become one of the most popular cross-platform app development frameworks. And this is leading to an increase in demand for react native developers. Hence, resulting in the massive expansion of the react native app developer community. But amongst such a vast number of react native app developers, you will surely have a hard time finding the right developer providing quality work. You will have to invest a lot of time and effort to Hire React native developer that will deliver you a quality product meeting all your requirements. We at ChromeInfotech have drafted out some parameters that you need to keep in mind to Hire a react native developer. Through a developer’s hard skills, You can certainly figure out if he/she is expertise react native app developer or not. So if you are planning to Hire dedicated full stack React native developers for your next Project, then you can definitely count on us. Our team of react native developer is familiar with all the tools and technologies that are required to be used along with React Native. So when you hire react native developer , make sure that he/she is well acquainted with these tools as well as other react native app builder tools. Native app development refers to developing an app that is specific to a particular platform. The technologies used for iOS are Swift and Objective C. While for android it is Java. So you need to find react native developers who at least have a basic idea about these technologies. We at ChromeInfotech have developers who are not only competent with Native technologies but also bear numerous experiences working with it. React native is an extension of React.js also known as React. A React Native app developer works around the concepts and functionalities of React. And better the understanding of the React components, the more competent is a react native developer . So if you are in the hunt to hire react native developer for your Project, Then please take care that this parameter does not slip off your mind! Looking to hire react native developer for your project? Does your project include the development of just your front-end and UI components? Is it a full-fledged project that also included back-end development? You might be wondering why does it even matter? Isn’t React native applicable just for front-end development? Well Yes! React native is indeed a front-end development framework. That’s why a React native Developer is also sometimes referred to as React native UI builder. Then it will be extremely beneficial if your React native developer at the very least possesses a basic knowledge of back-end development. It will facilitate smooth coordination between the back-end and front-end development team. And ultimately will result in more efficient and faster development of your App. It is something that We, at ChromeInfotech have experienced and gone through. There have been instances in the past where unparalleled coordination between the back-end and front-end developers have caused inconvenience throughout the Project. We now always favor and provide a React native UI builder who is aware of back-end development as well. Then you should without any doubt Hire dedicated full stack React native developers whose skillset includes a combination of both front-end and back-end technologies. 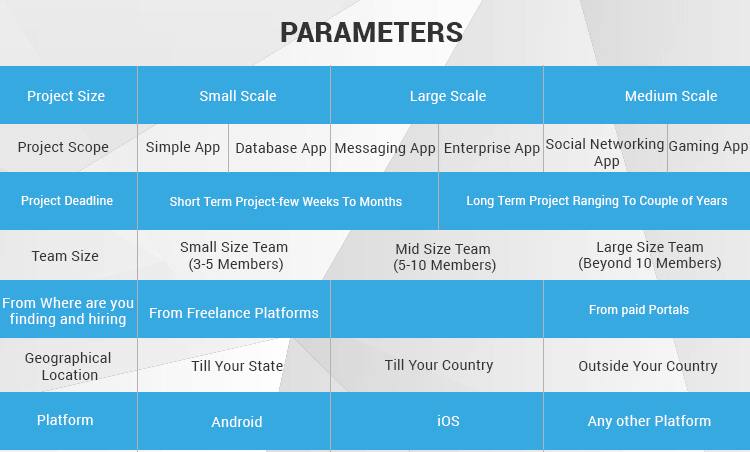 Every Entrepreneur aims for the development of a performance-driven Mobile App. Nothing drives away users more than a slow App. How to improve the performance of a React native App. At ChromeInfotech, We take a step further to ensure high Performance of your App. We integrate your App with Mobile Application Analytics tools so that you can easily monitor your App’s performance after its launch. Testing is a crucial component of the development process. By testing your App, you can get insights into any bugs or loopholes present in it. And these bugs need to be fixed to make your App work smoothly. Always Hire react native developer who is well accustomed to the tools/Techniques of Debugging and Testing. So these are some of the technical skills that you must keep in mind while looking to hire react native developer . ChromeInfotech as one of the pioneer react native developer providing companies comprises a team of developers who encompasses profound knowledge regarding all the required technical skills including various react native app builder tools. Thus if you are concerned about hiring skilled react native developer for your project then ChromeInfotech can help you with that. Soft skills are a universal requirement for every professional. And this holds true for a react native App developer too. A React native developer encompassing the right set of soft skills can steer your Project in the right direction. No matter what hard skills a professional possess, but without the adequate soft skills, everything becomes pointless. Whether a React native developer is an excellent fit for your Project requirements. So here are some of the soft skills that We at ChomeInfotech believe every React Native developer should contain. Even if a react native developer is exceptionally proficient with technical skills, he/she can’t carry out effective development without the presence of communication skills. Developing a Mobile App is all about teamwork. And without great communication skills, a React native app developer won’t be able to coordinate appropriately with the rest of the team. Thus, causing misunderstandings and resulting in a slower development pace. By Open-mindedness, I mean a react native developer who is open to accepting new idea and solutions provided by others. There may be situations where new ideas may be needed to proceed forward with your development project. And in such instances, your react native app developer should be open to the ideas suggested by the team. It is this reason why you should hire react native developers who are open-minded. Developing a mobile App is such a job where one is sure to get stuck in some problems at some point or the other. And without the right problem-solving approach, there won’t be any hope for your Project. Its how a React native developer approaches a problem which categorizes him/her as a pro. So this is another parameter that you need to look out for a while you find react native developers for your next Project. ChromeInfotech boasts a team of react native app developer that possesses all the required soft skills that a developer must possess. We make sure that each of our developers is well accustomed to all these skills so that We can provide Our Clients the best react native developers for hire. The very next thing that comes to your mind after coming up with an excellent idea for a mobile App is to: Hire a mobile App developer. But confusions and dilemma arise when you actively start looking for a developer for your Project. You will have two options in front of you. Well, both the resources have their sets of pros and cons and your decision will depend largely on your Project’s requirement. Please do take out some time and have a look at what We at ChromeInfotech have to say about it. Yes, both options will have their advantages and disadvantages. But We believe that the benefits of hiring a react native developer from a professional firm outshines the other option. 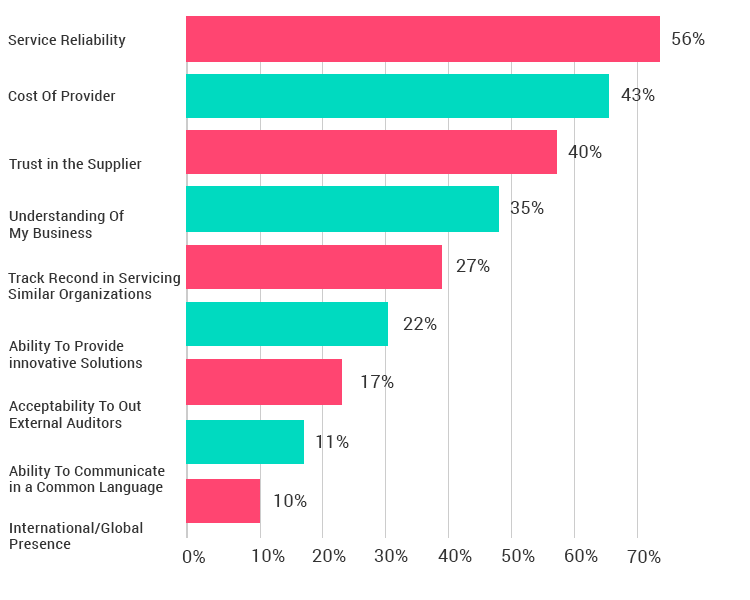 The top criteria that Businesses consider while choosing an Outsourcing Partner: Be it a freelancer or a professional firm. Well, hiring a react native developer from a professional firm fits into almost all of the above criteria as opposed to a freelancer. An established software development firm is where you should head out to with your Project. Read below to know How and Why a professional firm wins over freelancers in fulfilling most of the above criteria. Every aspect of the development process right from building wireframes to providing post-launch support and maintenance is handled under one roof. Thus, ensuring efficient management of even a large scale project. At ChromeInfotech We provide full-service assistance and give equal importance to every phase of the development process. Be it MVP development of your App or providing post-launch Support and Maintenance. We got you covered all the way! Freelancer developers do not have the resources or capability to handle every phase of the development process. It includes various aspects such as limited skill set, the absence of a team and so on. It is very important to find top vetted React.native developers available for hire to develop your Mobile App. You need to carefully analyze and hire react native developer whom you can trust. By trust, I am referring to a react native app developer on whom you can trust with your ideas, vision and your Project. You will end up with a technology partner that fulfills all of the above points. With a professional firm like Us, you can rest assured that your unique Business ideas and information will remain confidential. It is because We sign an NDA that restricts the accessibility of business information to a third party. Also with a company, you build a long-lasting and trusted relationship. We value Our Clients and care about the product quality to maintain the Company’s brand and reputation. Moreover, you don’t have to worry about them disappearing amid the Project. With freelancers, you are bound to face confidentiality issues. Furthermore, Freelancers can actually disappear. With no employer to supervise them, they tend to steer away from their obligations. You cannot count on them a hundred percent. In short, If you hire a react native developer who is a freelancer, then you always have to stress about if your Project is going to get completed on time. Or as a matter of fact, if it is going to get completed at all! One of the essential criteria for hiring the right react native app developer for your Project is if he/she can understand and comprehend your Business. Associating with someone who understands you and your vision can be very beneficial for the greater picture. A Mobile App development company like Us frequently deals with Projects belonging to different domains. We have acquired experiences and proficiency over various industry segments and users. And hence We would be able to understand your business idea and your requirements easily. Freelancer React native developers won’t be able to grasp on to your Business idea and vision easily. It is because they don’t work within a team and lack vast scale experiences. In today’s world, you can find many react native developers for hire. But it’s very hard to find one who can uses innovation to develop unique mobile Apps. Innovations result in a better and enhanced output. Thus, ensuring your App’s success. On top of that, We make sure that Our dedicated team of react native developers are well-aware of the emerging trends and technologies. And IOT app development is one of the innovative approaches that Our react native app developer team holds knowledge about. Professional development companies like us strive son Teamwork. Putting together the thoughts and ideas of different people is what sparks innovation. Then you should definitely hire dedicated react native developers from a development firm. First of all, freelancing react native app developer lacks a full-fledged team. Secondly, they dedicate only a specific amount of time and effort to your project. Hence, lacking any form of innovation. For any project, communication is the key to success. So this is another factor that you need to keep in mind when in search of a react native app maker or a developer. React Native services providing firms like ChromeInfotech hosts a team dedicated specifically to communicate with the Clients. We are always available to instantly communicate and respond to Our Client’s queries and issues. Freelancing developers have a flexible working schedule. So they may not be available at the time when you may need to speak to them. These are some of the main advantages of hiring a React native app developer from an established Company vs. a freelancer. Freelancer developers generally charge by the hour, and you can expect to save 20-30% off the cost of hiring a development company. Is it really worth saving up your funds at the expense of sacrificing product quality and the overall development efficiency? You get only one chance to create something which can be a game changer. So you should not compromise with the perfection of your Product and its development process to save up a few bucks. Talking about the cost required to Hire Dedicated React Native Developers, there are no fixed numbers for that. After taking All these parameters into account, you can come up with a rough estimate of How much investments you would require. As you can see, it is a long job to hire react developers that satisfy all the requirements in your checklist. But if you know exactly what you want and what qualities you are looking for in a react native app builder (whom you can also call your technology partner), you will be able to save a massive chunk of your time, effort as well as money. At ChromeInfotech, we value the ideas and vision of each Client. Our experienced team of React native developer focuses on every need and specification required by Our Client to deliver high performance and quality driven React native Apps. So if you are looking to hire react native developer or need any form of assistance regarding Mobile App development, then please do leave us a word in the “Contact Us Form” on your right. We would love to help you out. Also, share with us your views on this blog by dropping in your comments below.